We are excited to announce that we will be adding a Physiotherapist to our team in the new year! FORM means "For Optimum Results & Management" of your body and your life. Our goal is to help each of our patients REALIZE the possible causes of their symptoms, enter them into a program that will treat and REHABILITATE, provide the appropriate motivation and tools to RESTORE their abilities and guide them to their optimum health and RECOVERY. ​Using education, encouragement and motivation, and combining traditional and alternative health care in a compassionate, ethical and professional environment, our therapists strive to guide our patients to maximize their abilities. FORM Health Clinic Inc. is open 6 days a week to serve you. When you’re ready to book your appointment online, please click here. We look forward to seeing our patients at our centrally located clinic. Below are descriptions of the top end massage therapy, chiropractic, and laser therapy treatments we offer. 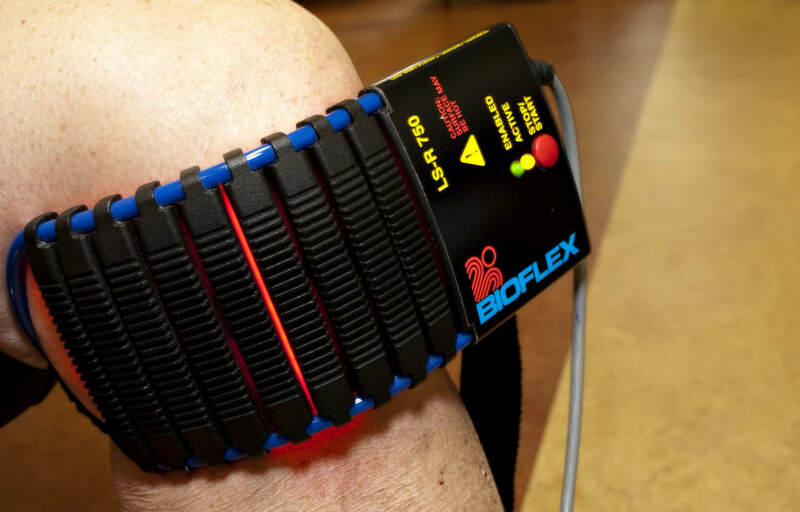 Laser therapy is a non-invasive, pain-free, light-based therapy that uses red and infrared light to target inflamed, injured and diseased tissues. Photons of light stimulate ATP production, thereby accelerating the healing process. Compared to traditional treatment, patients recover from musculoskeletal and peripheral nerve injuries with less scar tissue, accelerated cell regeneration and improved function. Acupuncture is based on the theory that qi, or energy, flows through our bodies through pathways, or meridians, and supports health through our bodies. The meridians can become imbalanced, or blocked, and this results in ill health. Stimulating the specific acupuncture points with insertion of fine needles brings about positive changes in the flow of qi, thus restoring balance and good health. Specialized Physiotherapy management of chronic pain, lymphedema, breast cancer and other cancers provides necessary tools to improve one’s physical capabilities, self-management skills, confidence and quality of life. Knowledge and experience combined with compassion and patience can produce the positive outcomes you are seeking.